Being a teenager in this financial climate is a hard time- sometimes I struggled to scrape together enough money for a cinema ticket! As summer approaches we all want to have a little bit of money to pay our way through trips out without having to rely on our parents to pay for everything. This week on my blog I'm going to share with you ways of Saving and Making money. Today it's ways that I manage to save a little extra money. Instead of heading out to Boots or Selfridges for your make up, check out some blog sales which a lot of bloggers have on their blogs. This is a great way to find some beauty bargains as you could get what you want for half the price just because someone may have used it once or twice before- I think that's a great offer! Beauty can be expensive but buying through blog sales can save you quite a bit of money sometimes especially if you aren't sure if you'll like the product and don't want to really fork out the whole cost if you're not going to like it. This is more of a long term solution to fund a beauty addiction with cards from Boots and Superdrug being the reward cards I personally use. It takes a while to build enough points to actually be able to spend it on something extra through saving up points. The Boots card has an app to go along side it which you can find exclusive offers for just you that you can load onto your card to get more points or other offers. While subscribing to all your favourite online retailers newsletters can become very annoying with the endless almost daily emails but they have their perks. You're the first to see what latest offers the have on their website and sometimes receive exclusive offers. It's great when it comes round to your birthday and you get birthday discounts. For me, the best newsletter is The Body Shop's. They always have an offer if not two going on at one time and they are really good with many being 45% off everything! Definitely worth it. Impulse buying is not what you want to indulge in when you're trying to save. I always try and go shopping with a physical list if not an idea of what I need to get. Writing a list at home with the things I'd like to buy when I have a bit of money helps me know what I want to buy next. I also try to set a reasonable budget by maybe putting money for books separate to that for make up- this just means I'm not just fueling one addiction but spreading it equally. Wait for an offer to role around. There's nothing worse then regretting waiting that extra week for a boots 3 for 2 on everything offer to come around and feel like you've really missed out. Wait for something to come in the sale or for an offer to pop up. There's no point spending all your money at once when you could have saved if you'd just waited. So there's a few tips of mine in saving a little extra money. I've got a few ways of making money coming on Thursday so stay tuned for that! 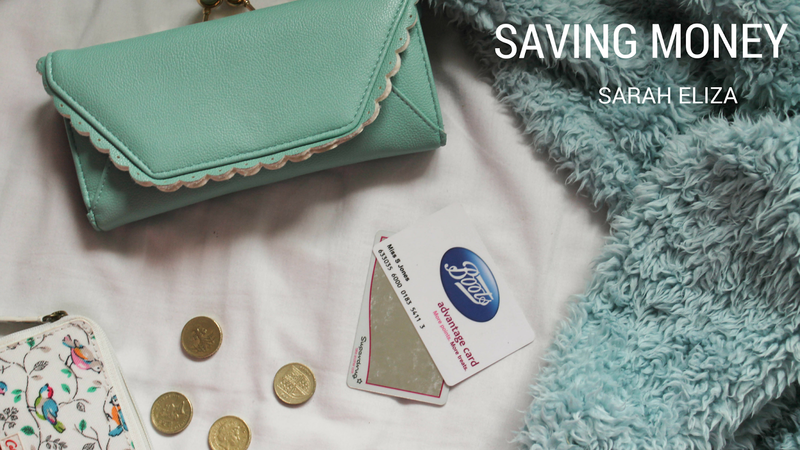 Have you got any money saving tips of your own?